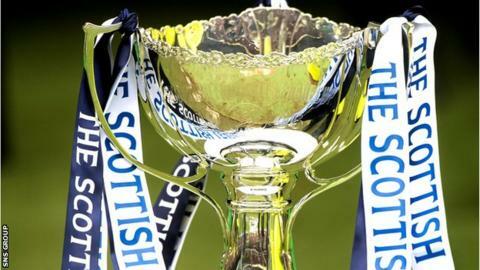 League Cup holders Aberdeen will meet Premiership rivals Hamilton Accies in this season's quarter-finals. There will be a Glasgow derby with Partick Thistle visiting Celtic Park, while Rangers will welcome Scottish Cup winners St Johnstone to Ibrox. Hibernian, who won the trophy in 2007, take on Premiership leaders Dundee United at Easter Road. The draw, held on BBC Radio Scotland, was unseeded and the ties will be played on 28 and 29 October.